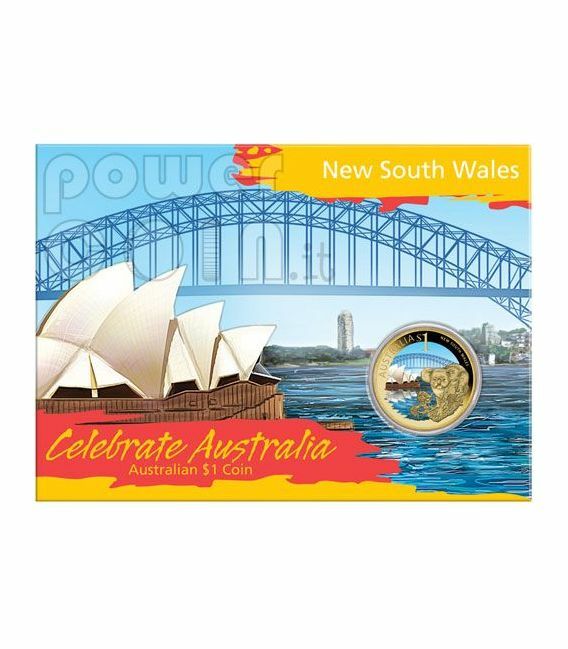 The coin’s reverse combines struck and coloured pictorial elements representing New South Wales. 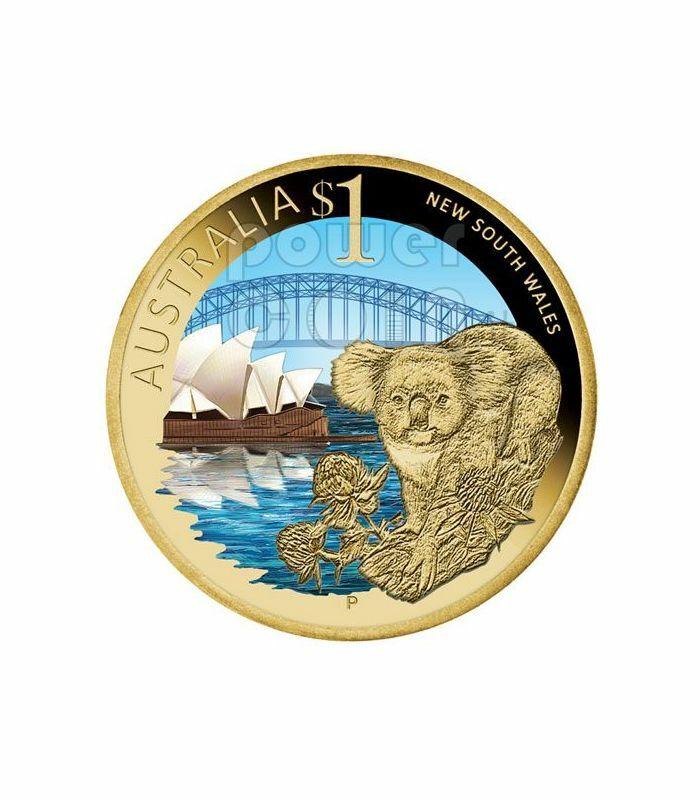 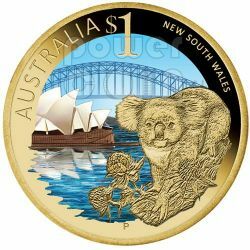 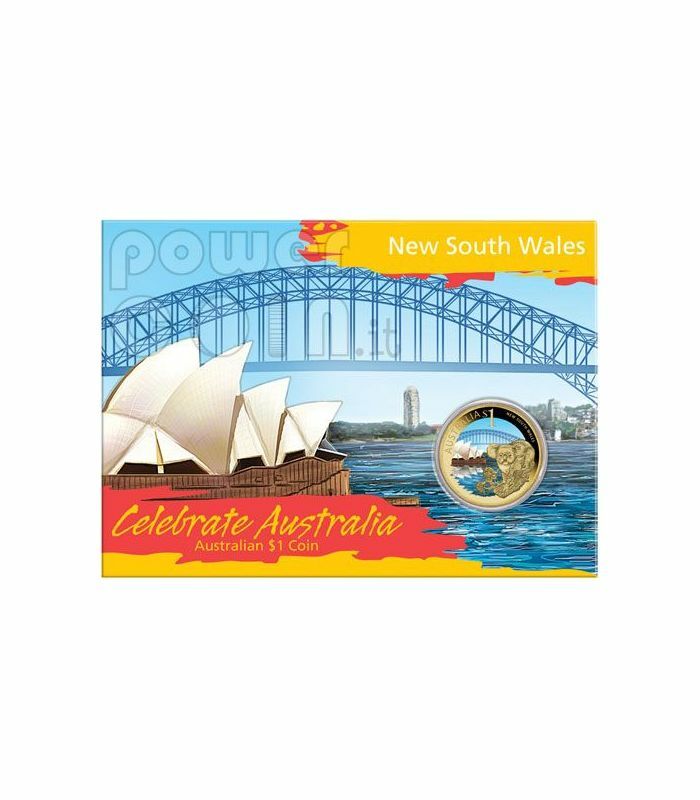 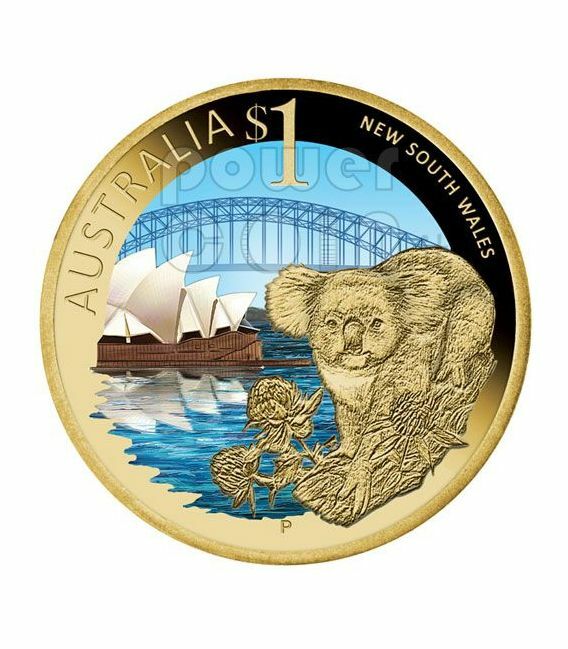 As well as a coloured composition of the Sydney Opera House and Harbour Bridge, the design includes images of a koala and a Waratah, the State floral emblem. 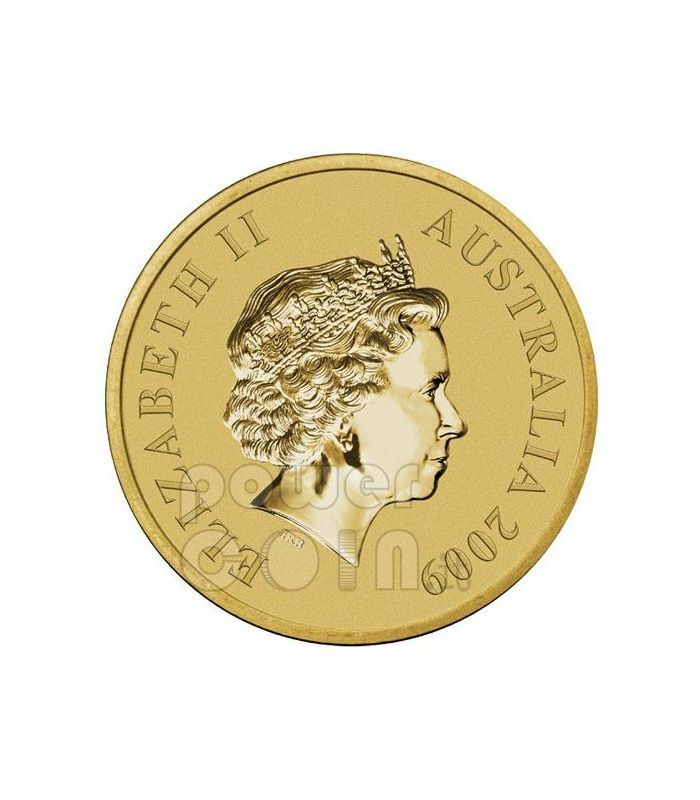 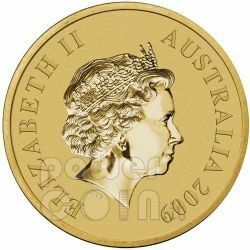 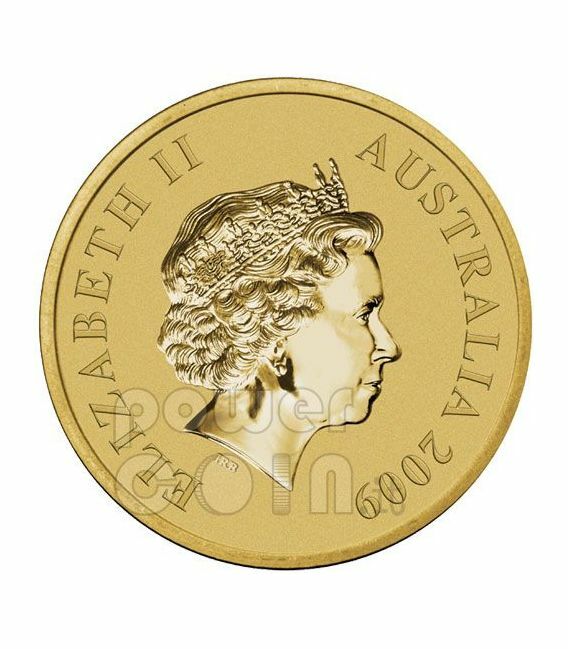 Issued as legal tender under the Australian Currency Act 1965, the coin bears the Ian Rank-Broadley effigy of HM Queen Elizabeth II on the obverse.